← Be Right Back . . . 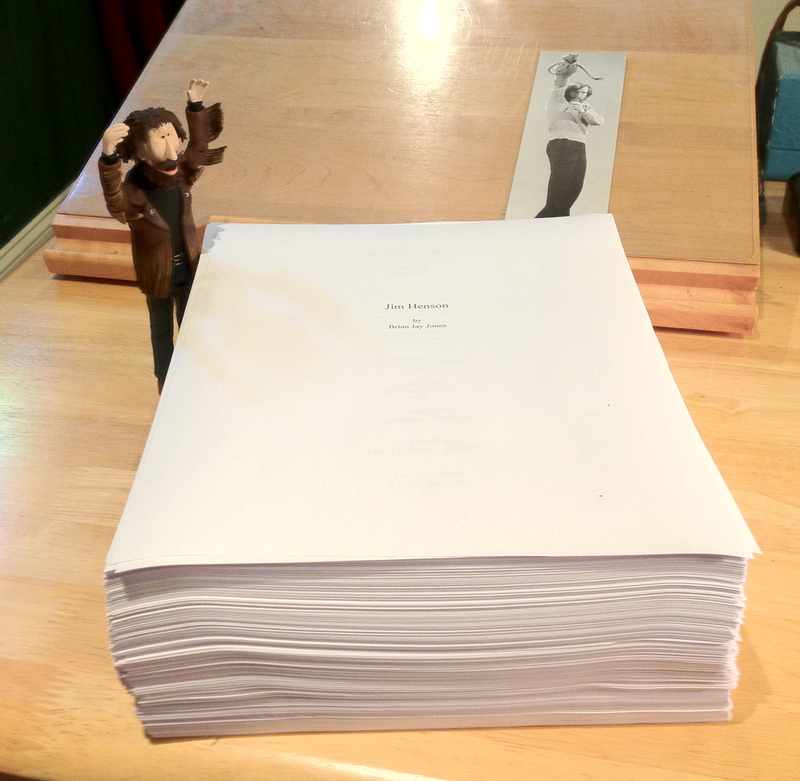 The first draft of Jim Henson sits in all its 700-page glory, to the likely approval of the Jim Henson action figure (as well as the photobombing Jim and Kermit bookmark). I’m taking a bit of a break for a moment — I’m headed to New York later this afternoon, in fact, to talk about Washington Irving — and then the next round of fun begins. Stay tuned. This entry was posted in Jim Henson, Muppets, works in progress and tagged Jim Henson, Muppets. Bookmark the permalink. Congratulations! I’m interested in the 700 page version. Hopefully a very good editor will keep the story as long as needed, but still detailed. I’ve been wondering when a biography would become available. Your blog is fun to read. Yay Brian! Can’t wait for the real book—you know, with glue and ISBNs and stuff. Congratulations, it must feel good. Best of luck with your book. I look forward to reading it. I, too, like real books you can hold in your hand! Congratulations! I am so glad to hear someone is working on a comprehensive Jim Henson biography. I can only imagine the feeling of accomplishment that comes with finishing such a large work. Can’t wait to read it when it comes out! Congratulations!! That’s quite an accomplishment. Best of luck. Thank you, everyone, for the kind comments! I’m in the middle of the first round of edits at the moment, but I really WILL be back at the blog later this month. I promise. Really.